For urgent care, Redondo Beach residents may believe they already know all the options available to them, but there's one that they may have overlooked – Michael Farzam MD, the preeminent House Call Doctor Los Angeles. It's easy to forget that house call doctors are still an option for urgent care in Redondo Beach or anywhere else in Los Angeles. After all, there are very few doctors today who are willing to make house calls. However, Dr. Farzam has always been committed to providing patients with the best, most convenient medical treatment possible, and that often means providing treatment right at their doorstep. Any visit to a doctor's office or medical treatment facility can be an arduous experience, and for urgent care in Redondo Beach, this can be particularly true. Walk in clinics in Los Angeles can be helpful, but they the long waits and questionable medical care at some can be off-putting – especially for those who are ill or injured. Thanks to concierge doctor Michael Farzam and his team at House Call Doctor Los Angeles, though, you won't have to wait for hours in an emergency room or urgent care facility. The convenience of receiving urgent care in Playa del Rey, Redondo Beach and areas all around Los Angeles has brought many loyal patients to Dr. Farzam at House Call Doctor Los Angeles. His personalized medical care is provided even if you don't currently have a medical plan, or fi you can't afford health insurance. Whether or not you feel comfortable traveling to a hospital or medical care facility, you should always have the opportunity to receive effective medical care. 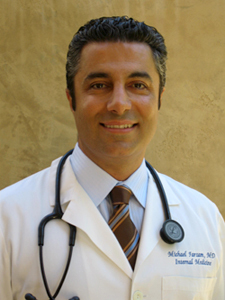 For urgent care in San Fernando Valley to Silverlake, Inglewood and the greater Los Angeles area, count on Dr. Farzam and his team at House Call Doctor Los Angeles – you won't be disappointed!